Hello, dear readers! Welcome to my blog. On this post, we will delve on Google’s RPC style solution, gRPC and his serialization technique, protocol buffers. But what is gRPC and why it is so useful? Let’s find out! When developing APIs, one of the most common ways of implementing the interface is with REST, using HTTP and JSON as transportation protocol and data schema, respectively. At first, there is no problem with this approach, and most of the time we won’t need to change from this kind of stack. However, the problems begin when we get a API that has a big continuous volume of requests. On a situation like this, the amount of memory used on tasks like data transportation could begin to be a burden on the API, making calls more and more slow. It is on this scenario that gRPC comes in handy. With a server-client model and a serialization technique from Google’s that allows us to shrink the amount of resources used on remote calls, we can scale more capacity per API instance, making our APIs more powerful. This comes with a price, however: operations like debugging get more difficult on this scenario, because gRPC encapsulates the transportation logic on Google’s solution that utilizes binary serialization to do the transportation, so it is not as easily debuggable as a common plain REST/JSON application. RPC is a acronym for Remote Procedure Call, a old model that was much used on the past. On that model, a client-server solution is developed, where the details of transport are abstracted from the developer, been responsible only for implementing the server and client inner logic. Famous RPC models were CORBA, RMI and DCOM. Despite the name, gRPC only has the concept of a client-server application in common with the old solutions, that suffered from problems such as incompatible protocols between each other, alongside with not offering more advanced techniques from today, such as streams. Their solutions reminds more of the classical request-response model, from the first days of the web. So what is gRPC? This is Google’s approach to a client-server application that takes principles from the original RPC. However, gRPC allows us to use more sophisticated technologies such as HTTP2 and streams. gRPC is also designed as technology-agnostic, which means that can be used and interacted with server and clients from different programming languages. Protocol buffer is gRPC’s serialization mechanism, which allows us to send compressed messages between our services, allowing us in turn to process more data with less network roundtrips between the parts. The Protocol Buffers framework supplies us with several code generators for different programming languages. If we want to develop on Java, for instance, we download Protocol Buffers for Java, then we model a proto file where we design the schema for the messages we will transport and then we generate code using the protoc compiler. The compiler will generate code for us in order to use for serialize/deserialize data on the format we provided on the proto file. Bidirecional stream RPC: This is the more complex but also more dynamic of all the types. On this model, we have both client and server reading and writing on streams, which are stablished between the server and client. This streams are independent from each other, which means that could be possible for a client to send a message to a server by one stream and vice-versa at the same time. This allows us to make multiple processing scenarios, such as clients sending all the messages before the responses, clients and servers “ping-poinging” messages between each other and so on. As the name implies, synchronous processing occurs when we have a communication where the client thread is blocked when a message is sent and is been processed. Asynchronous processing occurs when we have this communication with the processing been done by other threads, making the whole process been non-blocking. On gRPC we have both styles of processing supported, so it is up to the developer to use the better approach for his solutions. A deadline stipulates how much time a gRPC client will wait on a RPC call to return before assuming a problem has happened. On the server’s side, the gRPC services can query this time, verifying how much time it has left. If a response couldn’t be received before the deadline is met, a DEADLINE_EXCEEDED error is thrown and the RPC call is terminated. On gRPC, both clients and servers decide if a RPC call is finished or not locally and independently. This means that a server can decide to end a call before a client has transmitted all their messages and a client can decide to end a call before a server has transmitted one or all of their responses. This point is important to remember specially when working with streams, in a sense that logic must pay attention to possible RPC terminations when treating sequences of messages. Channels are the way a client stub can connect with gRPC services on a given host and port. Channels can be configured specific by client, such as turning message compression on and off for a specific client. On this lab we will implement a gRPC service, test by making some calls and experimenting a little with streams. It will get us a feel and a head start on how to develop solutions using gRPC. For this lab we will use Python 3.4. For the coding, I like to use Pycharm, is a really good IDE for Python that the reader can find it here. For containerization I used Docker 17.03.1-ce. I also recommend you create a virtual environment for the lab, using virtualenv. After running the command, we will see that a folder was created. That is our virtual environment. This will change our terminal, that will now show a prefix with our env’s name, showing it is enabled. That’s it! Now that we have our environment, let’s start with the development. This file is based on examples from the official gRPC repo – you can find the link at the end of this post. Alongside setting some properties such as the service’s package, we defined a service with 2 methods and 2 schemas for the protocol buffers, used by the methods. With the proto file created (let’s save it as my_service.proto), it is time for us to use gRPC to create the code. PS: The source code for our lab can be found at the end of the post. Now that we have our code generated, let’s begin our work. Let’s begin by creating the server side. The code from our command is auto-generated, so is not a good practice to code on them. Instead, for the server we will extend the servicer class, so we implement our own gRPC service without editing generated code. On the code above we created a class that it is a subclass of the class generated by the protoc compiler. We can see that in order to get the request’s parameters, all we have to do is navigate from the request object. To generate a response, all we have to do is instantiate the appropriate class. We also coded the serve method, where we created a server with 10 worker threads to serve requests and initialized with the class we created to implement the server-side. And from now on, unless we kill the process, it will be answering on the 50051 port. Now that we created the server, let’s begin the work on the client. In order to consume the server, we need to create a client for our stub. Let’s do this. As we can see, is really simple to create a client: we just needed to establish a channel and instantiate a stub with it. Once instantiated, we just need to call the methods on the stub as we normally would do with any Pythonic object. Now that we have the coding done, let’s test some calls! Success! We have implemented our first gRPC service. Now, let’s wrap it up our lab by seeing the last topics: using streams and containerization. To learn about streams, let’s add a new method, that it will be a bidirectional streaming. As we can see, the new MyMethod3 receives a iterator of request messages and also send a series of responses as well, by using the yield keyword, which teaches Python to create a generator from our function. We can read more about the yield keyword on this link. Please note that all this calls were made using the synchronous approach, so the client thread is locked each time a call is made. If we wanted to call the server asynchronously, we would use Python’s futures to do so. I suggest the reader to explore this option as a post-lab exercise. Finally, we would want to run our gRPC server on a Docker container. That is a very simple task to do. 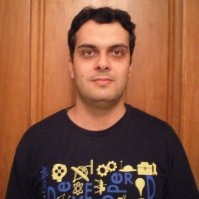 docker build -t alexandreesl/grpc-lab . And so we concludes another journey on our great world of technology. I hope I could help the reader to understand what is gRPC and how it can be used to improve our capacity on high demanding API scenarios. Thank you for following me on this post, see you next time.